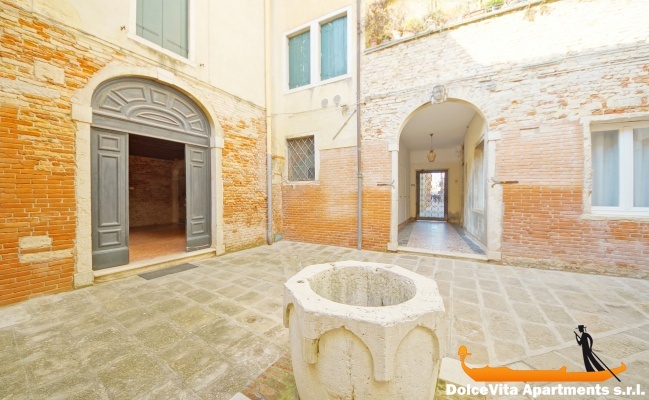 Apartment N. 112: It can accommodate up to 4 people, it is rented from 105 € per Night (not per person). 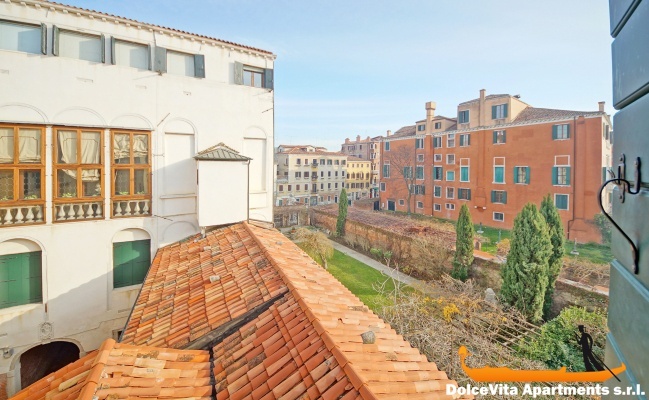 This penthouse in Venice for four people is close to Ponte degli Scalzi on the opposite side of the train station of Santa Lucia. It is located on the third floor, it is equipped with security door and all the water bus stops are less than 1 minute walking. A small hallway leads to the living area, equipped with a comfortable sofa, an armchair, a TV, a fully equipped kitchen and a dining table. 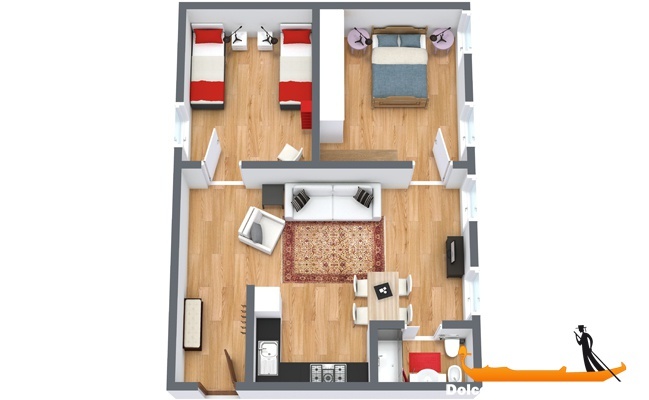 There are two bright double bedrooms, one with double bed and one with twin beds. The bathroom has a shower and it is completely renovated. 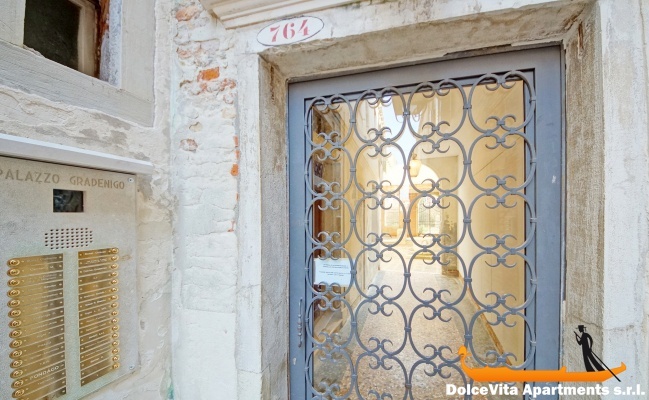 You will be between the train station and the Frari churc, in a very convenient location to reach all corners of the city. Great location, comfortable, coffee maker is a bit small for four people. We thought the apartment was great, especially its location so close to the railway station, and yet so quiet to stay in. Four of us stayed in the two bedroom apartment and there was plenty of room for us all. It was helpful having the supermarket just a few minutes walk away. We would recommend this apartment. One thing that would have helped us, would to have had more written instructions available. For instance, it took us quite a while to work out how to use the gas hobs. Silvio was welcoming and helpful. The apartment is well designed and well appointed, the site images are representative of reality. 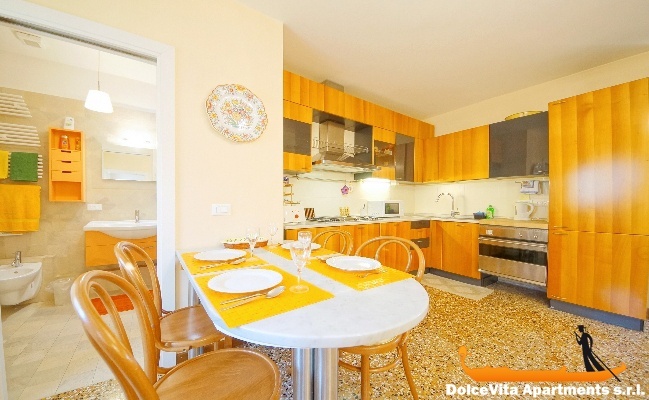 The location is ideal, close to the railway station and to Piazzale Roma, easy for late arrivals. The setting and the view from the apartment are also great. Your service and the location are very good, I especially appreciated your responsiveness and the speed of your always pragmatic answers. And the person who ensures the welcome and passage of keys is extremely friendly and available Thank you. Good continuation. 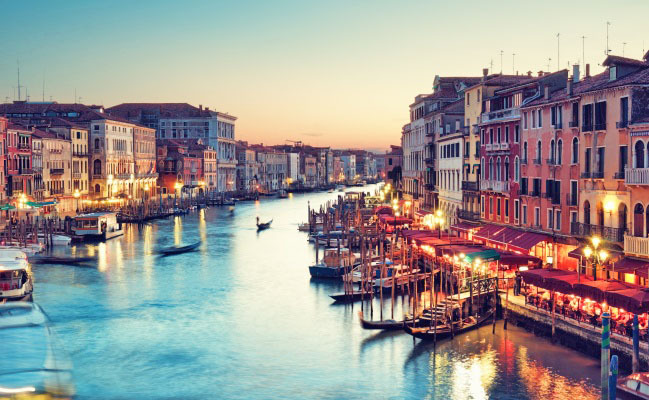 great location, immaculate, clean and very nice; small point ... the presence of many mosquitoes ... but that's Venice. service very good, welcome person nice and helpful. 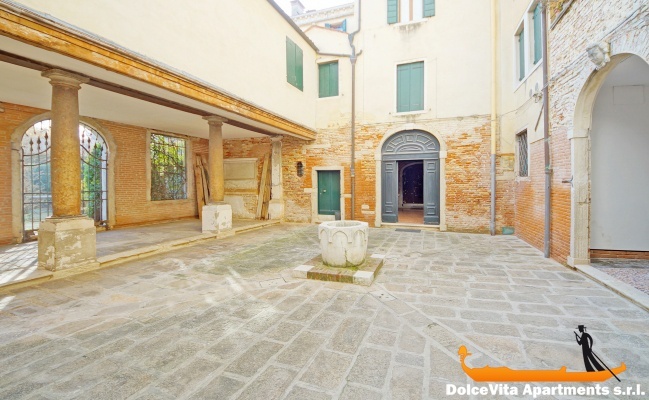 Very nice apartment extremely clean, in an ancient Venetian palace with great charm, excellent location and quiet. 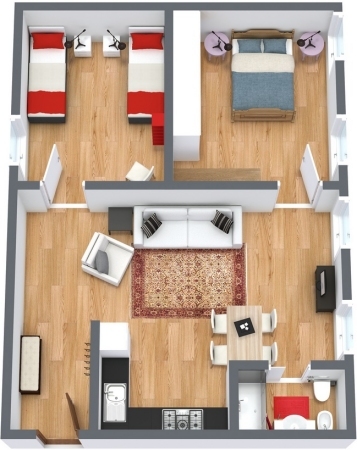 Apartment practical and comfortable, equipped with everything you need. Conveniently located , it was also very quiet. We can definitely recommend it for a family. 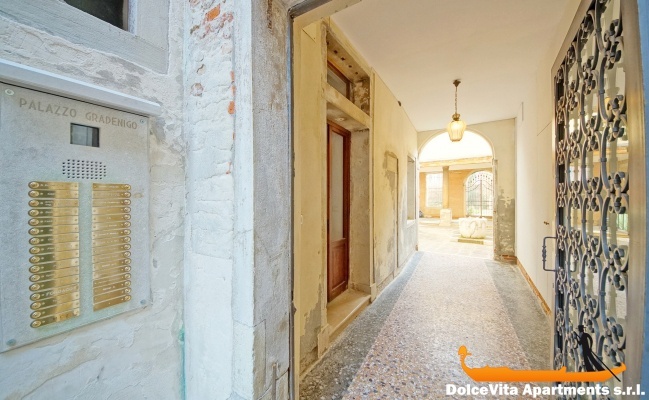 Excellent location, the apartment is well arranged in a beautiful palace. The welcome was warm. the person was easy to reach and punctual. The rental was easy and the settlement without problems. 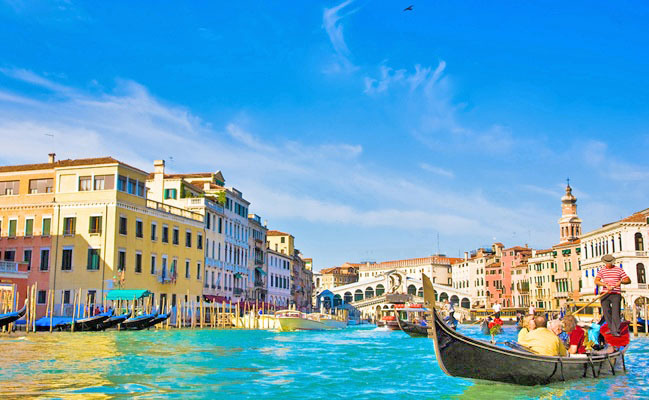 Very satisfied with the whole, hospitality, cleanliness, location, everything was perfect. The apartment is comfortable and has all needed for tourist. Great location, near the train station, very quiet. We note a friendly and courteous welcome by Nicola. A bit 'annoying to us the impossibility, on the last day to deposit the luggage in a corner of the house or in the building, awaiting the flight departure at 17h, but be forced to take them to the luggage room at railway station. (often as possible in rooms or hotels). It was a very nice flat to stay in. Unfortunately there was a misunderstanding over the day we were supposed to leave but that is not your fault. Your service was excellent and thank you for finding another flat for us at very short notice. The apartment is large and in a beautiful building. 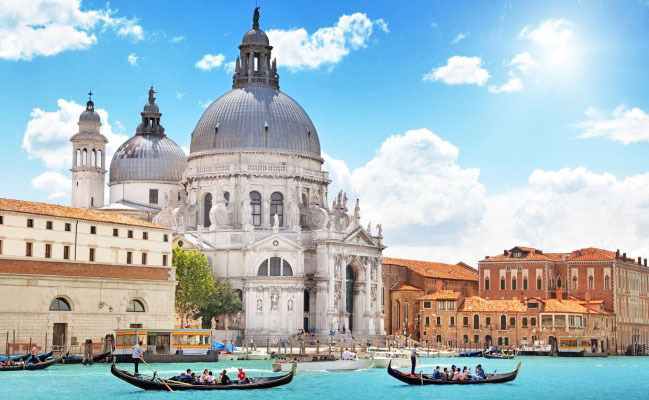 Lets you imagine the life of a time because it is located in an ancient palace. 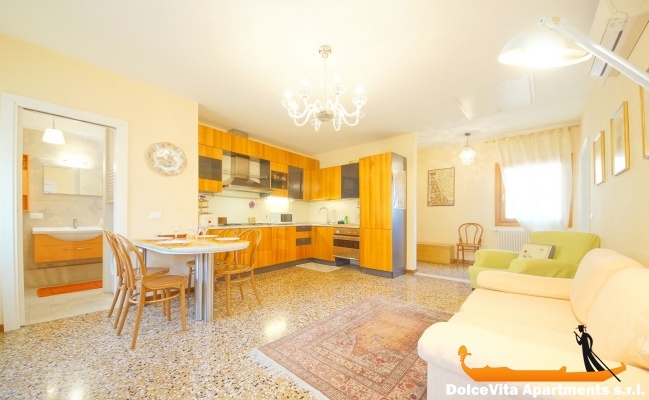 The apartment is very functional thanks to its geographical position, it is 2 steps from Piazzale Roma and the train station and it is very well equipped, very spacious. Thank you for this rental that contributed to comfort stay. Beautiful apartment both well decorated and functional. 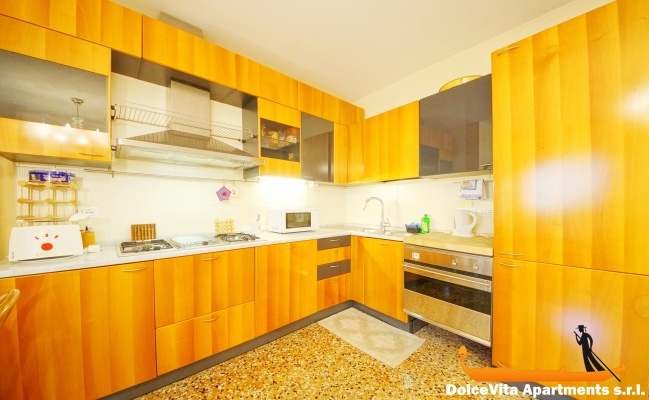 It is very well located: close to the railway station with a supermarket nearby. Apartment very well located, nice!